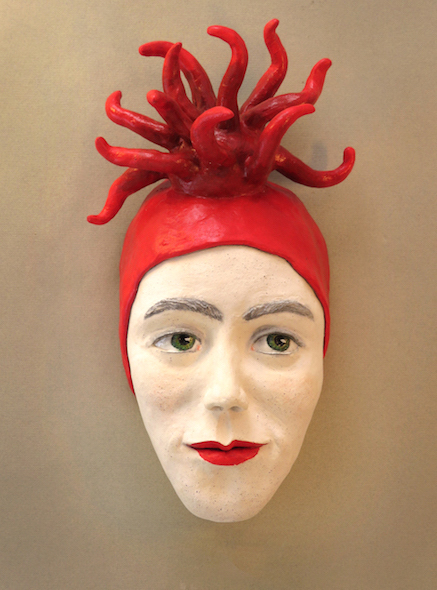 Anemone Anne Wall-hung, hand-built figurative ceramic sculpture, fired, with cold finishes and varnishes. 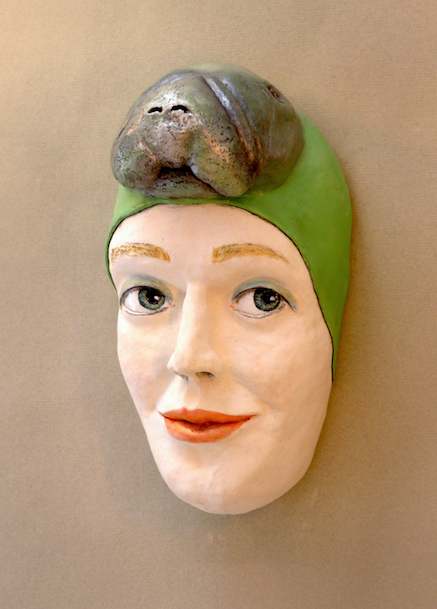 Mandy Manatee Wall-hung, hand-built figurative ceramic sculpture, fired, with cold finishes and varnishes. 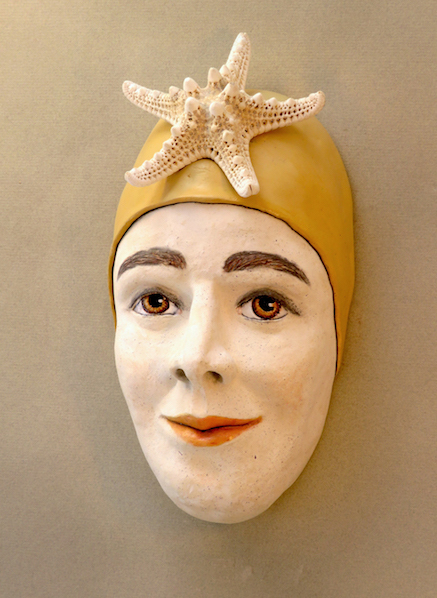 Sandy Starfish Wall-hung, hand-built figurative ceramic sculpture, fired, with assemblage (a starfish acquired in New Zealand), cold finishes and varnishes. 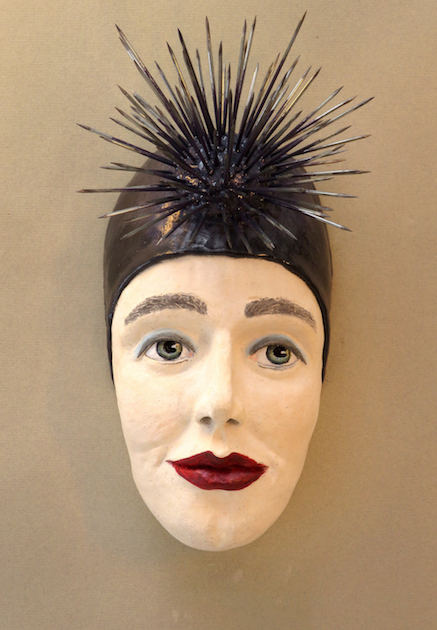 Ursula Urchin Wall-hung, hand-built figurative ceramic sculpture, fired, with assemblage (sharpened, up cycled bicycle spokes), cold finishes and varnishes. These four pieces are the beginning of an open series titled ‘Seagals.’ The faces are approximately life-sized. Each piece features a different “sea-creature” (sculpted, natural, or assembled from up-cycled materials) — why a sea creature? Because our seas need our attention and protection! 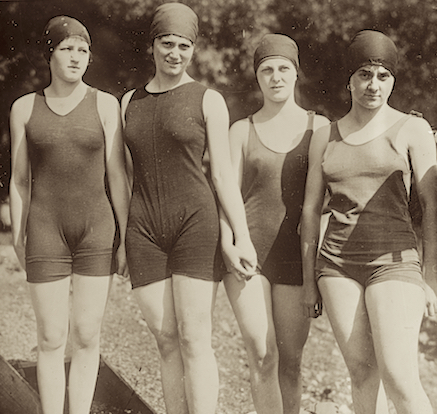 Inspiration for the look and feel of these is drawn from the “bathing beauties” of the 1920s, with colouration reflecting the work of portrait illustrators of that time (e.g. Władysław T. Benda).